Obituary for Timothy M. Higgins Sr. | DeMarco-Stone Funeral Home Inc.
Princetown – Timothy M. Higgins, Sr, 69, of Princetown, NY passed away unexpectedly on Friday, November 23, 2018 at Ellis Hospital. Born in Schenectady on March 5, 1949, he was the eldest son of Charles B. and Charlotte Higgins. He was a 1967 graduate of Draper High School. For many years he worked as a laborer for Local 157, later becoming the President and Fund Manager of the local until his retirement in 2005. The most important thing to Tim was his family. He recently celebrated his 50th anniversary with his high school sweetheart Debra L. Maura, whom he married on August 30, 1968. Together they raised three beautiful children, Valerie Higgins-O’Dell, Nikki France and Timothy (Lindsay) M. Higgins, Jr. He was the proud Papa of Zachary, Jesse and Shane O’Dell, Austin and Kylie France, and Timothy III and Mia Higgins. Tim was an incredible athlete excelling in basketball and football, playing semi-pro with the Rotterdam Eagles and Metro Mallers, and eventually signing with the NFL. In 2012 he was inducted into the Mohonasen/Draper Hall of Fame. He enjoyed camping, fishing, riding his motorcycle, watching his grandkids sporting and concert events, but most of all just being with his family. 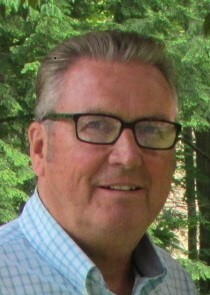 In addition to his wife, children and grandchildren, Tim is survived by his brother Dennis Higgins, sisters Holly (Mark) Barkyoumb, and Heather Higgins; sister’s-in-law Wendy Maura, Kim Ashley, Mila (Lynn) Hover, Vickie (Larry) Schellenger and Shellie Boffa (Joe); his best friends Dennis (Janet Macejka) Scofield and Ken (Peg) Palen as well as many nieces, nephews and cousins. Tim was predeceased by his parents, in-laws August and Muriel Maura and sister in-law Deborah Higgins. Tim will be greatly missed by his family and friends. He was a lot of different things to a lot of people and a friend to everyone he crossed paths with. Cremation was held at Vale Crematory in Schenectady, NY and at the request of the family, services were private. The family thanks the Rotterdam EMS and cardiology staff at Ellis Hospital for their efforts. To send expressions of sympathy, visit www.demarcostonefuneralhome.com.